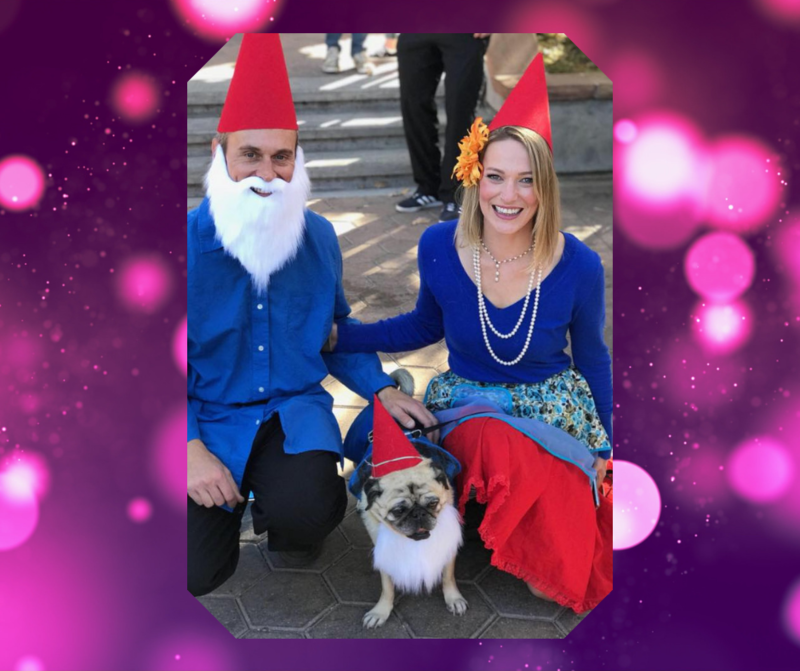 Pugs and Pug enthusiasts joined together for the funnest event of the year, our annual Halloween Pug Parade! 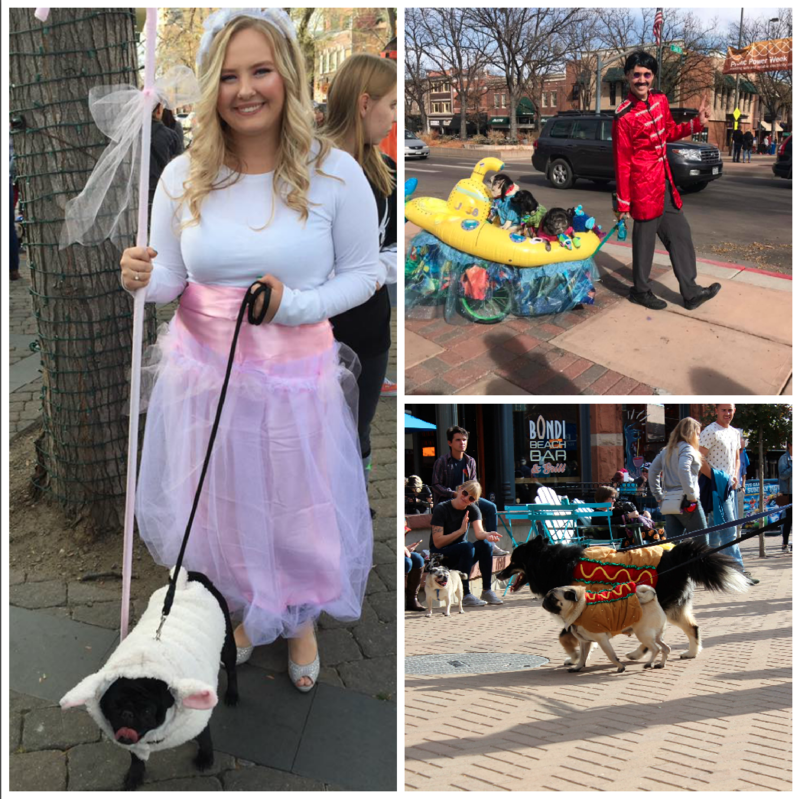 The Parade is intended to celebrate the awesomeness of Pugs and was located in Downtown Fort Collins on Sunday, October 28th 2018. There was an wonderful turnout that afternoon. 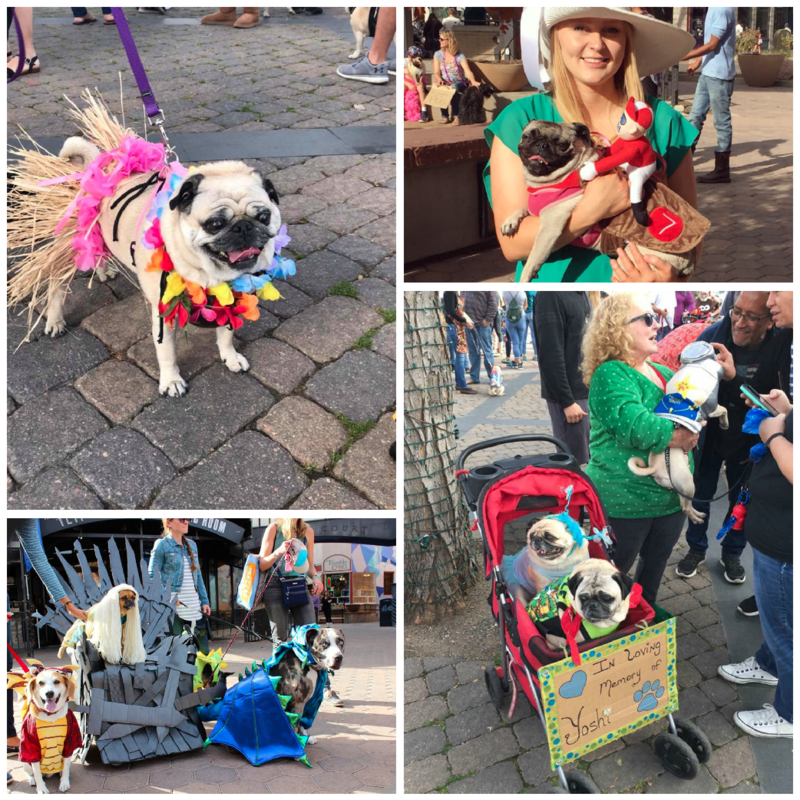 Grumbles of Pugs and at least a hundred people, many dressed up in amazing costumes all ready to join in on the fun of the Pug parade through Old Town to strut their stuff and bring joy and fun to our city! This year at the 2018 Halloween Pug Parade, we marched our costumed curly-tailed friends in honor of our good friend Yoshi the Pug. 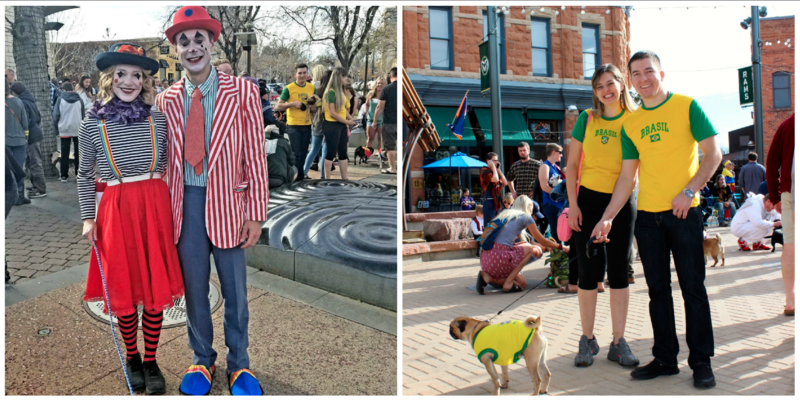 Kim Nelson and Jeff Buraglio who facilitate the Facebook Group - Fort Collins Pug Play Group hosted Sunday’s parade. 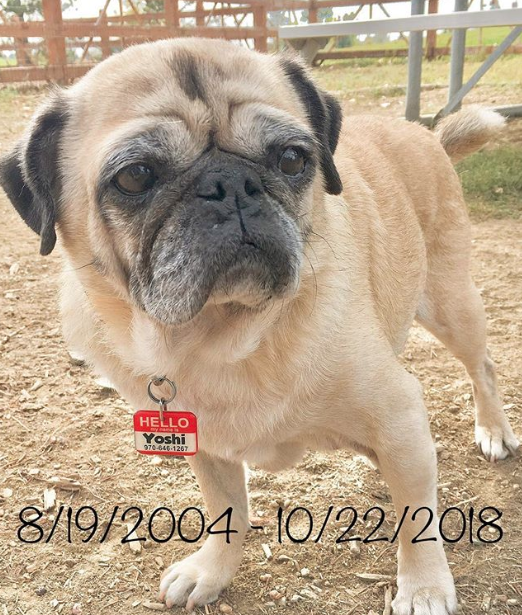 The couple announced that within the last week they'd lost their Pug Yoshi. Here's Yoshi, Jeff & Kim pictured at the 2017 Pug Parade. The outpouring of support in the air was truly amazing. Many of us had tears for the couple who have been the heart and soul of the Fort Collins Pug Play Group for years. Yoshi's parents wrote on Instagram the following message after his passing: "We have decided to honor his memory by keeping his IG account going. We still have soooo many pictures of his adventures and life of love to share (eventually). Our hope is that it will help us heal by reliving all the wonderful memories he gave us during his 14 years on this earth. Thank you all for being a part of it. Full power, always full power! Love, Jeff & Kim ❤️"
Yoshi touched so many lives and was loved by everyone. His friends pictured above, Sheree Vowden with her pugs Sebastian and Sadie marched in his honor. We hope the day at the Parade brought the couple some smiles and laughs. We know that Yoshi has already made a ton of friends over the rainbow and was smiling down on us all that afternoon. 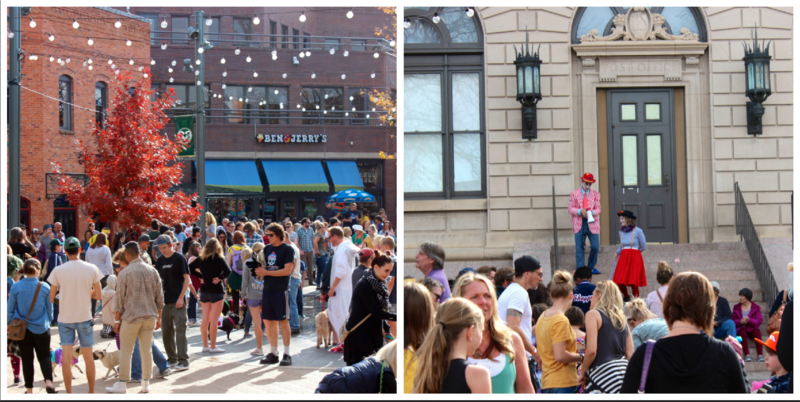 And before you go please enjoy this video taken by our local newspaper, The Coloradoan! 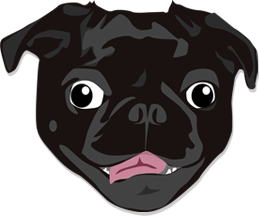 Thanks for reading and stay tuned for next years Halloween Pug Parade!